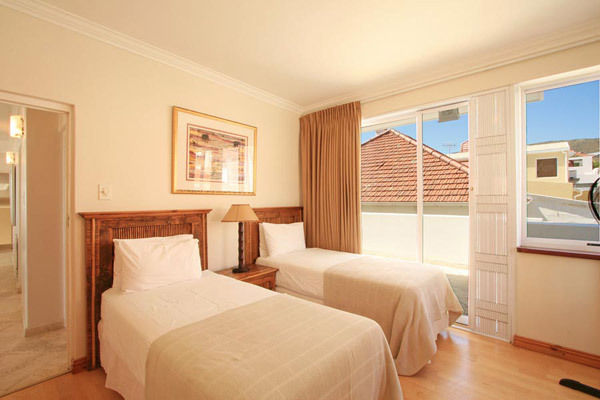 Why stay at BEACH VILLA? 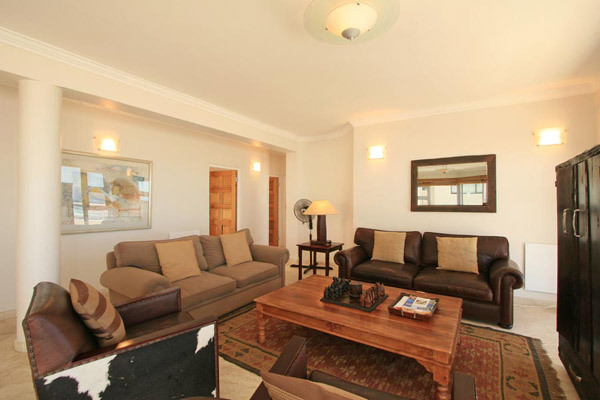 Luxury self catering accommodation for 1-6 guests. 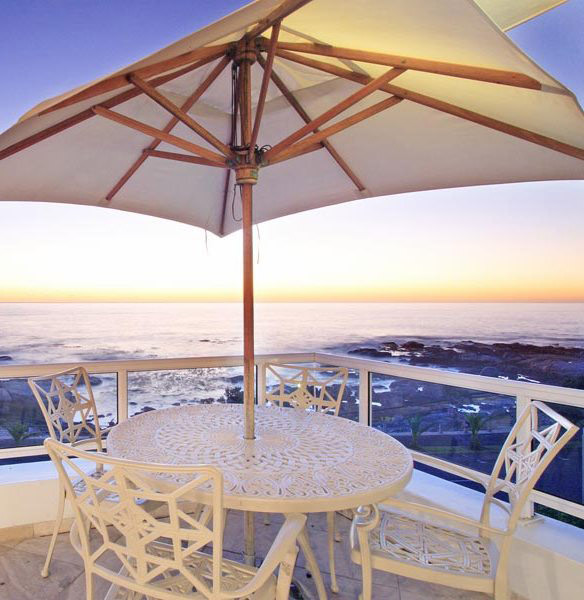 Beach Villa is modern and sophisticated, located opposite Saunders Rock beach in wind-free Bantry Bay. 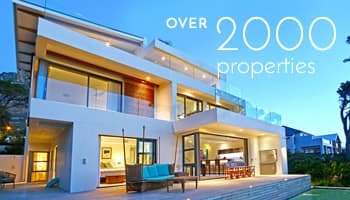 Beach Villa is situated in a cul-de-sac in Bantry Bay between Clifton's famous beaches and Sea Point's shops and restaurants, a five minute drive to the V & A Waterfront, Camps Bay promenade, Table Mountain and the City Centre. 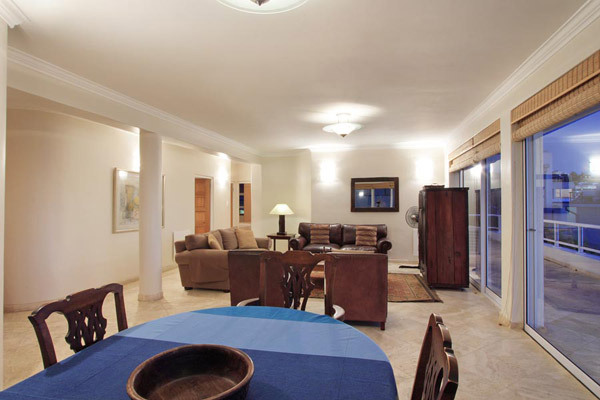 Just a few minute stroll to the many deli's, nearby beaches and salt water swimming pools. 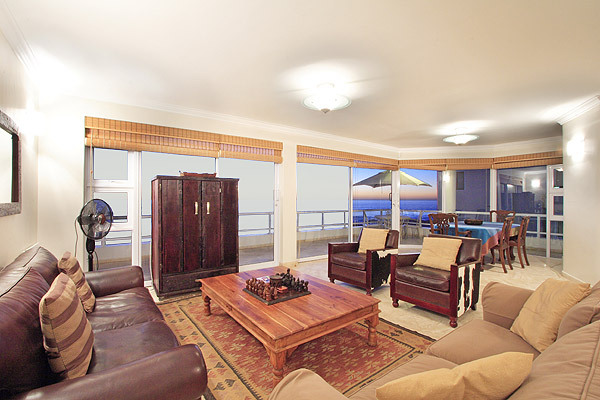 Open-planned lounge and dining area opening onto large entertainment balcony with beach and sea views. 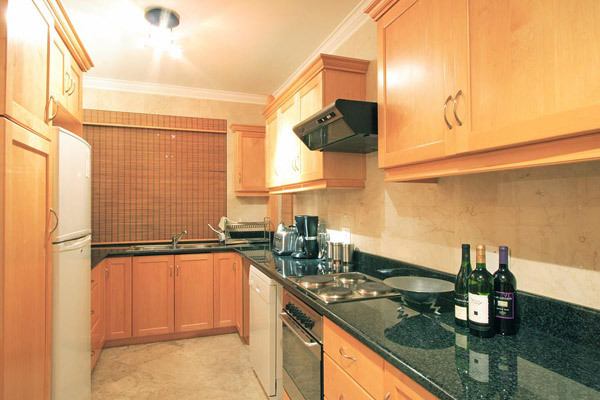 Maple and granite kitchen (fully equipped) with modern appliances. 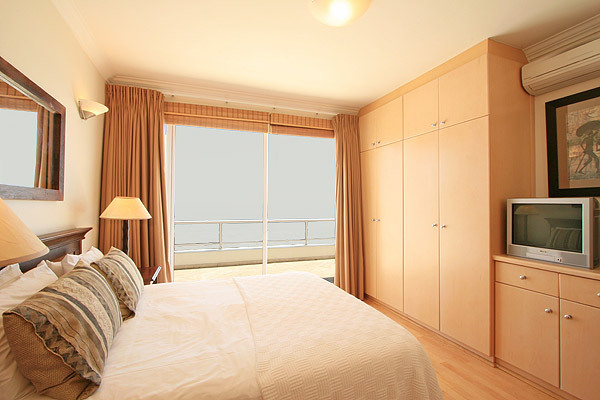 Master bedroom with air con, queen size bed, marble en-suite (bath and separate shower) opening onto the front balcony. 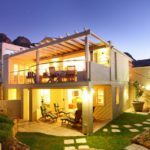 Double bedroom with double bed opening onto mountain view patio. 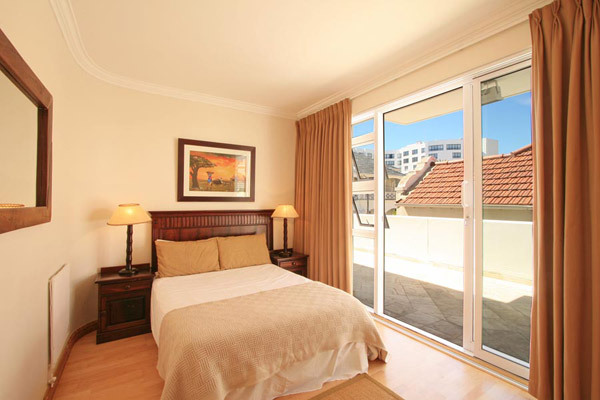 Double bedroom with twin beds opening onto mountain view patio. Satellite TV, DVD, Home Theatre. Electronic Safe. Pre-paid Telephone. Intercom Access. Remote security system. 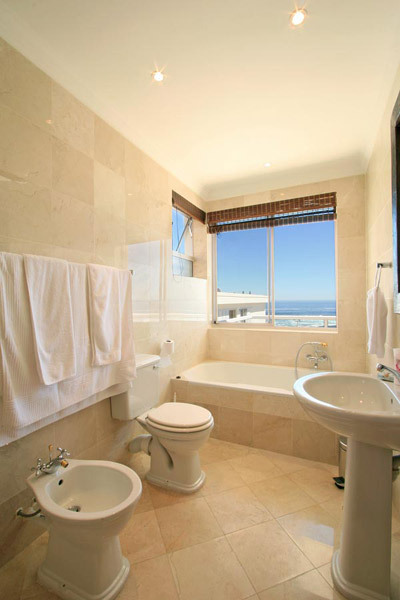 Ready to stay at BEACH VILLA?